Grantham – who occupies a legendary place in the world of finance for predicting all the major stock market bubbles of recent decades (and doing very well in the process) – had decided, after 15 years of low-key environmental philanthropy, to, as he puts it, “walk the walk”. 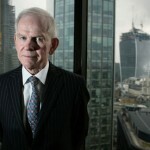 Grantham, co-founder and chief strategist of GMO, a Boston-based global investment group, manages $106bn (£69bn) of assets on behalf of 1,000 institutional investors, and employs 600 people, so he decided that the fallout would be too great. He was forced to stand back and watch as his daughter Isabel got arrested, alongside the actor Daryl Hannah, the US’s highest-profile environmentalist Bill McKibben, andNasa climate scientist James Hansen. So he is speaking out instead. From where he stands, this bubble, the “carbon bubble”, is the biggest he’s seen. “We’re already in a bad place. The worst accidents are [only] 20, 30, 40 years from now.” Such apocalyptic talk is often the preserve of deep-green doom-mongers – the kind of talk that has led many to reject environmentalism. 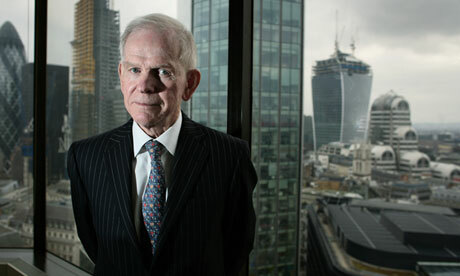 But Grantham insists he’s guided “by the facts alone”. On some issues (immigration and education) he “would be considered rightwing”, but with the environment, he says he calls it as he sees it. He is disdainful of those who ignore the data, or worse, misinform the public. And he didn’t preach. For years he has remained, Oz-like, behind the curtain of the environmental movement. He has shunned in-depth interviews and expressed his views only in quarterly newsletters published on GMO’s website, where he writes of long-term risk, climate change and dwindling resources – not just oil, coal and natural gas, but also phosphorus and potash, whose use in modern farming methods “must be drastically reduced in the next 20–40 years or poorer countries will begin to starve”. At the same time, he has poured an ever-larger amount of his personal wealth into his Grantham Foundation for the Protection of the Environment, which he runs, with family input (his children are trustees) and minimal staff, out of GMO’s Boston headquarters. The foundation’s latest tax filing shows that in 2011 he increased the fund’s coffers by $46m (£30m), bringing the total to something approaching $400m (£260m), up from $106m in 2006. Ever the wise moneyman, he has largely reinvested this money, in order to guarantee the foundation’s long-term security. But he also spends about $17m annually on his chosen causes, in the process becoming, according to one magazine, the “world’s most powerful environmentalist”. Run your finger down the tax document and you see why. In 2011 alone, his foundation gave $1m to each of the leading US conservation charities, the Sierra Club and Nature Conservancy, as well as $2m to the Environmental Defense Fund, where his German-born wife Hannelore is a trustee and where Isabel has also worked. He is perhaps best known in the green world for funding the London School of Economics’ Grantham Research Institute on Climate Change and the Environment ($2.2m in 2011), and Imperial College London’s Grantham Institute for Climate Change ($1.9m in 2011), but he funds climate researchers in India, too. He has written large cheques for the Carnegie Institute of Science, the Smithsonian, 350.org, WWF, Greenpeace and, keen to counter what he calls the “misinformation machine”, funds environmental journalism at National Public Radio, the Center for Investigative Journalism, grist.org, Media Matters and the Yale Forum on Climate Change & the Media. Until last year (when he decided investigative and environmental journalism was “dying out” due to cutbacks), he funded the world’s most lucrative journalism award, the annual $80,000 Grantham prize for environmental reporting. In the past few months, however, there has been a conspicuous gear-shift in his activities. In addition to being more outspoken, he intends to support new research initiatives, particularly into “avant garde, sustainable” farming techniques. He talks of a “hybrid” form of farming that takes the best of organic farming and the best from “Big Ag”. He doesn’t rule out “compromises” such as genetic modification, which some environmentalists will find hard to swallow. He does think there’s some cause for hope. For example, “the business mathematics of alternative energy are changing much faster [than many people] realise.” Looming carbon taxes (“hopefully, in the not-too-distant future”), coupled with the increasing affordability of alternative energy, will mean that coal and oil from tar sands run the “very substantial risk of being stranded assets”. There there’s the “amazing” fall in fertility rates across the world (“the absolute minimum hope of survival is a gracefully declining population”).